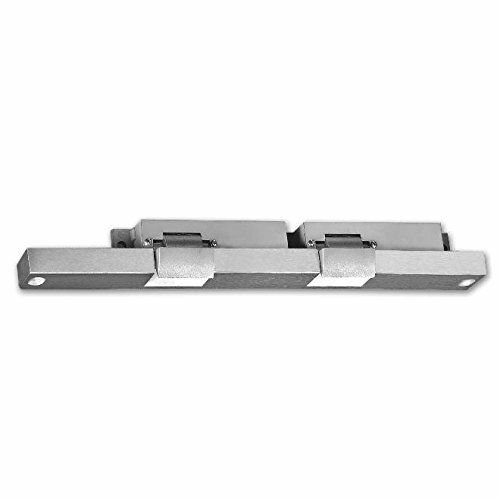 The 310-4 vertical surface mounted series is designed for heavy duty applications on single or double doors. The all stainless steel construction of this device makes it ideal for high abuse applications. This line of electric strikes will accommodate rim exit devices with a 1/2" or 3/4" throw latchbolt. This heavy duty electric strike is used on a pair of doors (without mullion) which are equipped with surface vertical-rod exit devices having a swinging, pullman style latchbolt when the spacing of the vertical rod is between 2-5/8" and 3-3/8". If you have any questions about this product by HES, contact us by completing and submitting the form below. If you are looking for a specif part number, please include it with your message.